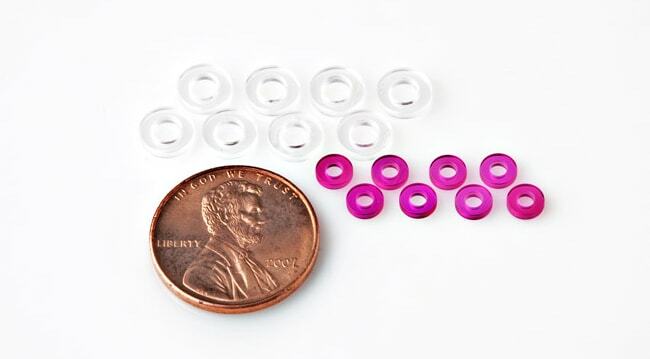 Serving as radial/sleeve jewel bearings, Ring Jewels are used with straight cylindrical shafts. Ring jewels offer flexibility due to their many combinations with endstones. Straight holes restrict lateral movement, but require accurate alignment when the clearance between pivot and jewel bearing is tight. 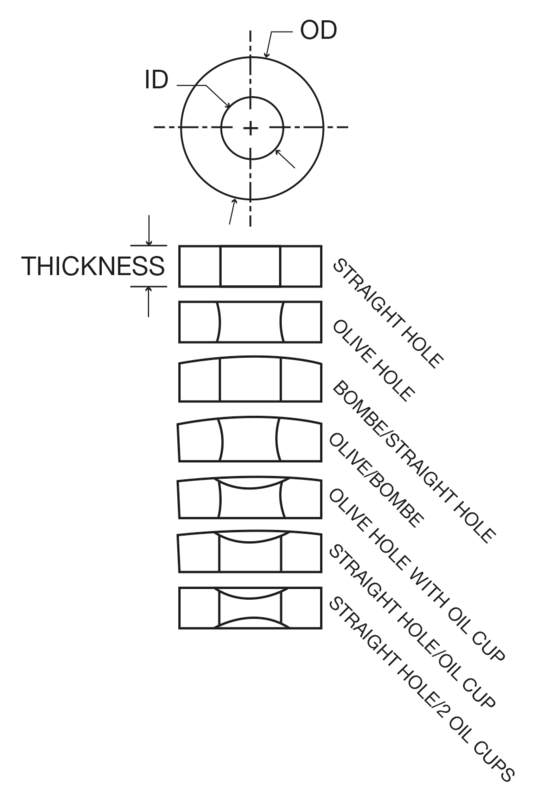 Olive holes offer lower friction with pivots and permit assembly adjustment. Bombés provide minimum contact with pivots for light, intermittent end thrust. Where thrust load is continuous, an endstone is usually combined with the ring jewel.